The start of Minki’s misfortune’s in this episode was his landlady kicking him to the curve with all his belongings in bags. Jae Kyung who was with him at the time wonders where he’s going to go from their since the landlady refused to give him his deposit back since he was always late in making his payments. Minki blusters that OF COURSE he’ll be fine, he has places to go, so Jae Kyung doesn’t need to worry too much about him. Jae Kyung smiles his relief and he merrily goes on his way. Meanwhile at a café that they all always seem to end up in, Teacher Hee Jin is lamenting her single status and asking the café clerk Hee Bon for a hook up with a single 30-something. Hong Chul happens to overhear that she doesn’t have a lover and for some reason this really bothers he and she ends up puffing up and huffing that “of course” she has a lover. I always end up sort of put off by their acting, it’s so over the top, I think even more so than the rest of the cast. I know that since a sitcom, there must be some “over-ness” to the acting, to kind of tell you that they’re not taking themselves too seriously, but with these two I always feel that it’s TOO much Over. We are then transported back to Minki. He’s currently looking over his bank account but no matter how much he looks he really doesn’t have much money, in fact not even enough to cover a month in a new apartment. At that moment two men(Myung Soo and HaHa) —uh oh, we know who they are don’t we? Deus ex Machina meets Mr. Exposition, annoying if this were a serious drama but funny because of it’s obvious nature — walk by talking about a job leaflet, they’re the saying how it was targeting poor college age students and that it even came with a place to sleep. Minki smiles, he’s gotten an idea! He has to get that job! Walking carefree and content through the 찜질방 (Jjimjilbang) Hee Chul, Ui Chul and Ki Bum make their way to the counter to buy facemask. Near them a worker is diligently mopping up the place and making it shine. They ask the “ahjussi” for three facemasks which is when Kibum notices that the “ahjusshi” is actually Min Ki. They know each other from highschool, but they appear to not get along. Ki Bum calls Minki old and Minki calls Kibum a gradeschooler. Kibum smirkingly asks if Minki had decided to work and freeload at the 찜질방. To retaliate Minki refuses to sell him the face masks and they start to grapple when Minki’s boss comes up and pulls them apart. He fires Min Ki and apologizes to Ki Bum for his worker’s bad attitude. Minki is mad at losing his job, but he does find some revenge and satisfaction, once confirming that he’s fired. He smears the gel in the face mask all over Ki Bum’s overly smirky face. Though I love Kibum I kinda enjoyed and cheered Min Ki on. We have a boring (too me at least) interlude in which Hong Chul ruins Hee Jin’s plans to go out with a lawyer because he tells him that she already has a lover. Minki is once again on the streets and he arrives at an abandoned looking place with the city’s homeless people are sleeping. He’s not looking forward to it when HaHa and Myung Soo show up again —do their whole expo deus ex— and say that at a time when it’s so cold and one doesn’t have a place to sleep it’s always nice to stay at the house of a friend who’s parents are not present. Minki remembers his hyung! Jae Kyung will certainly help him! As he’s thanking Jae Kyung for accepting him in his home, he let’s out that at least JK is a much better friend than a certain traitor who is now is enemy. JK is kind of lost when he says that and so a whole flashback sequence begins. 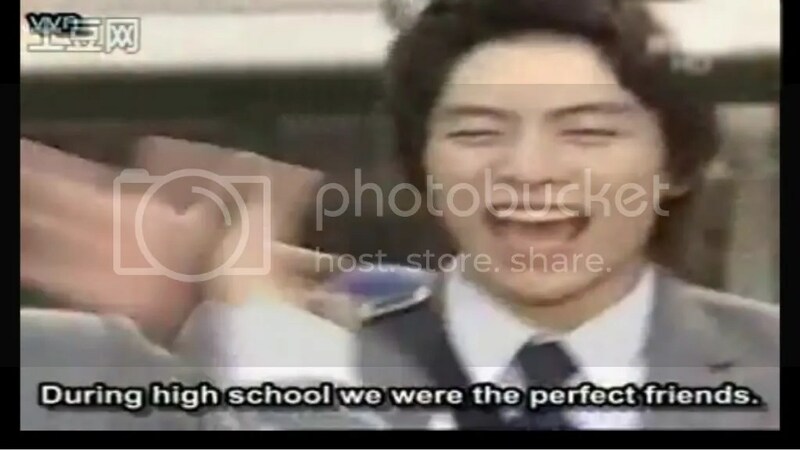 Turns out Min Ki and Ki Bum were best friends in highschool, they would do everything together from running to school and barely avoiding being locked out to going to the movies and watching R-rated movies. The reason why they get to watch r-rated movies is because Min Ki looks “mature” something which Ki Bum confesses to envy. Min Ki as well confesses to envying Ki Bum’s youthful looking face. LOL they are so silly. While in the R-rated movie they get caught by a teacher and as Min Ki turns around to urge Ki Bum to run, he notices that he’s gone already so he does the next best thing: play dead. Seriously he’s so silly, did he learn to be a possum early in life?! I love it! The next and last memory he talks about is the reason for their mutual hostility. Min Ki’s family used to be as well off as Ki Bum’s but his dad’s business went through a rough patch and Min Ki had to start working to support his school fees. 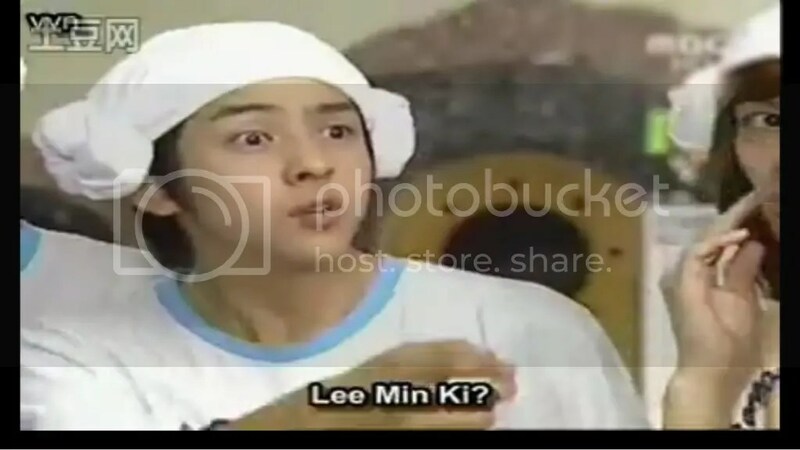 As he’s working at a gas station Min Ki notices Ki Bum drive up in his father’s car and he turns around quickly debating whether he should just face him or not, but when he finds the courage to just go for it and calls out Ki Bum’s name, Ki Bum cover’s his face and drives on pretending not to see/know him. And that’s how Ki Bum turned his back on him. 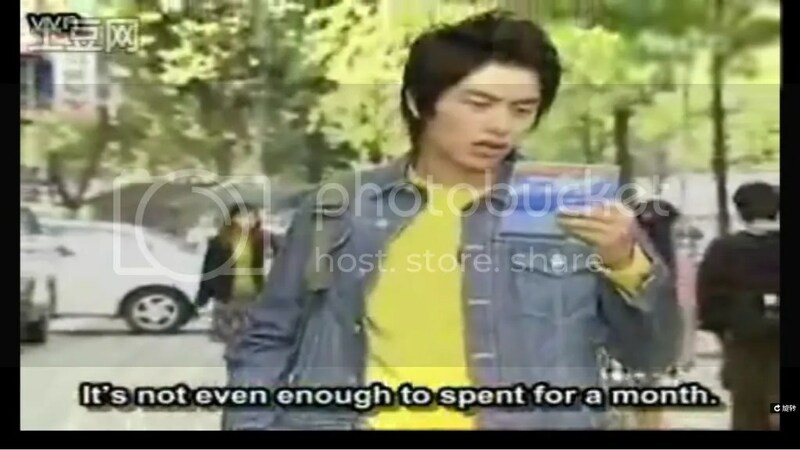 The girls (Eun Kyung and Eun Bi) walk in at that moment and they find out that Min Ki will be boarding with them for a while, and though they are against that since they barely have enough to eat and spend on themselves, but they give in when they find out that at least he’s paying something for the room and board. Things go wrong for Min Ki in his friend’s house from the beginning. First he wastes too much water for his bath, and then he eats too much, eating Eun Bi’s portion of rice. And the siblings start arguing about why Jae Kyung accepted him in the house when he knows they’re strapped for money, etc, etc. All this while Min Ki is still in the room, self-consciously trying to avoid the fact that he is in fact in their way. At school, Minki is drying his face when Ki Bum, Hee Chul and Ui Chul appear and Ki Bum makes fun of him for washing his face in school instead of at home (not that he has anywhere to go now that he’s not at the 찜질방 ). Min Ki says that he SOOO does have a place to stay, and that he’s only washing it at school because he has oily skin that has to be washed three times a day. Kibum doesn’t believe him and tells him that everybody knows that Min Ki has skin as dry as his personality. And then he starts saying stuff along the lines of ‘you have no friends’. Jae Kyung walks in at that moment and tells Min Ki that they’ll have to raise the rent because he eats too much and uses too much water. 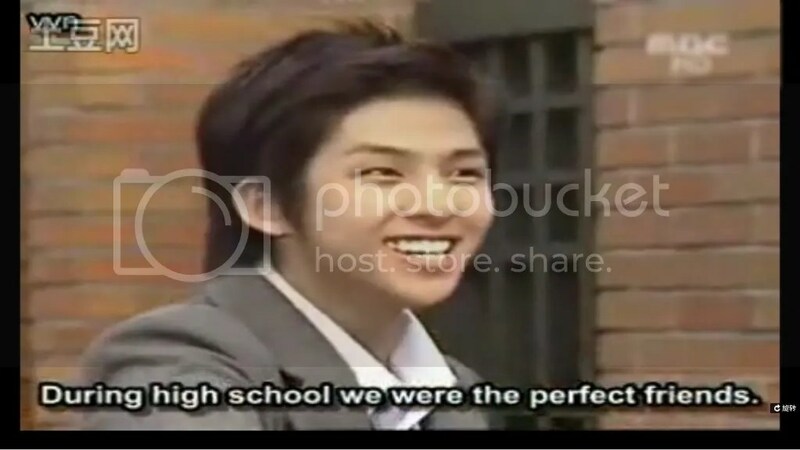 Minki leads Jae Kyung out of the locker room as soon as Ki Bum starts saying how great a friend he has! Ui Chul and Hee Chul give Ki Bum a ‘look’ along the lines of ‘why don’t you help him’ and he just retorts that they should stop looking at him like that because Minki’s life is none of his business. There’s a brief interlude with teacher Hee Jin and her deciding to go paragliding so that she could meet Hee Bon’s uncle who likes extreme sports, except that it turns out that Hong Chul also goes there and makes it his mission to teach her how to paraglide. Jae Kyung arrives home with a bag of meat after work and they start grilling it without Min Ki and they start talking about how much Min Ki eats and if they called him to come eat with them he’d eat everything, etc. They were planning on airing out the apartment so that Minki won’t know they had meat. Minki walks through the door and notices that everyone was already eating. He goes to his room and starts packing his bags again. Quietly he thanks them for helping him and that he’s found a place to stay from now on. The siblings then start blaming each other for Min Ki’s departure. As he’s leaving the sibling’s apartment he walks into Ki Bum, Ui Chul and Hee Chul. After sneaking a few digs in about how Min Ki doesn’t have anywhere to go, Ki Bum asks him if he’d like to stay in their apartment for a time. Minki refuses and walk away. It turns out that when he’d covered his face at the gas station as he drove off was because he knew Min Ki was proud and he didn’t want to embarrass him while he was working. When he goes to school the next day, he tried to high-five Min Ki and he’s ignored. A classmate asks him if he’s heard about Min Ki’s transfer out of their school. Meanwhile Min ki is off being adorable in the homeless gathering place saying “ Not 3 Min Ki, 4 Min Ki, I am Lee (2) Min Ki” with accompanying hand signs too! 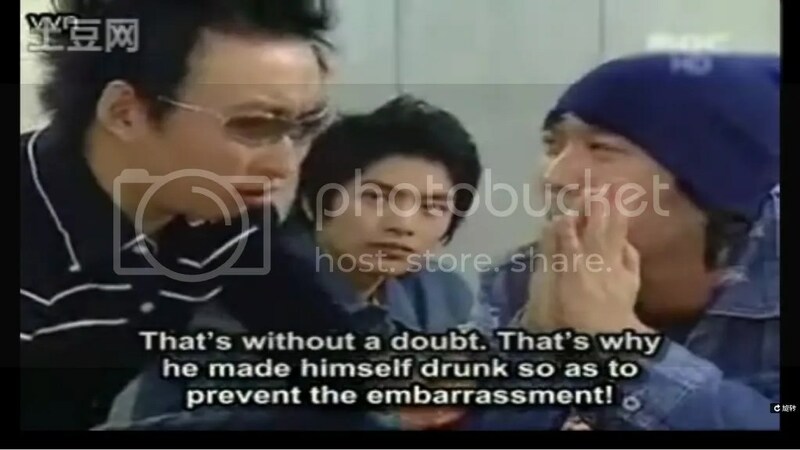 As he’s contemplating what to do with his life, HaHa and Myung Soo show up talking about a so-and-so who pretending to be drunk and accepted an enemy’s invitation to live in his house. Min Ki smiles as he understands now what he has to do. 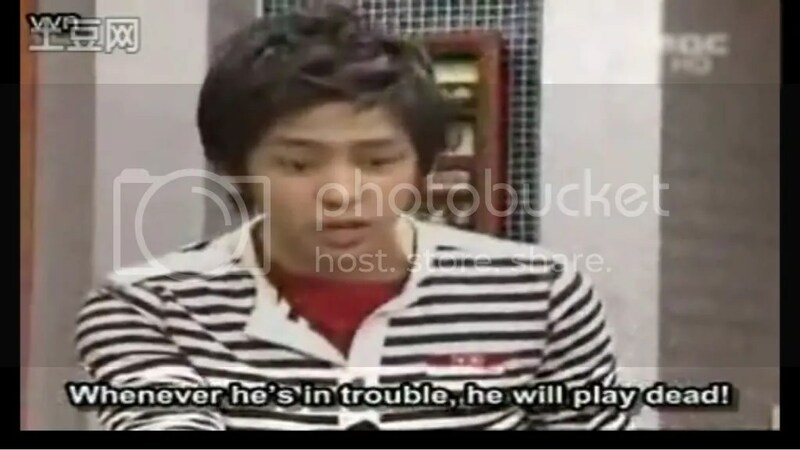 He spill the juice he was drinking all over himself and heads off to Ki Bum’s apartment. After all the guy HAD invited him. The Kkotminam trio were enjoying a calm, quiet time to themselves when loud knocking and an even louder drunken voice calls out Kibum’s name. When Ki Bum opens Min Ki barges in drunken act in full swing and throws himself at the couch. Hee Chul comments that he must be drowning out his sorrows in alcohol. The show is not that innovative but it’s funny at times, but it’s also frustrating at others. Sometimes I just want to smack Hee Jin and Hong Chul, they are just so way over the top, it’s like they’re on something that nobody else is on. I love the MinBum Bromance. They are the bickering type that will end up happily ever after- j/k. But at the very least they will probably be able to mend their relationship, isn’t that why in every drama when there needs to be more closeness between the pair they always end up sharing living space? I didn’t really like how the siblings treated Min Ki, yes of course they’re tight on money, but it wasn’t like Min Ki was going to stay there for free either. and all that arguing and doing it in front of the boarder? It’s so uncomfortable and shows very little respect for the person in question. I’m really glad Min Ki left the house, and that he did it in such a quiet and polite fashion. The dad’s picture showed his disappointment with his children’s behaviour.